Kingswood Oxford Athletics teams and athletes earn honors regularly. Girls' soccer advanced to quarter finals. 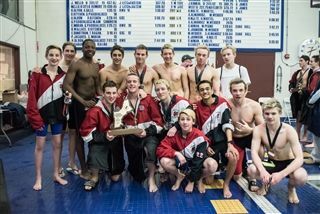 Boys’ swimming and diving emerged as the 2017 Division II N.E. Champions and defended their title. Both Wyverns boys' and girls' basketball team advanced to the finals of the 2016 KIT. Ainsley Vaughn '20 set school records in winning the 200 and 400 meters while Sam March '17 set a new school record to win the triple jump and she also added the long jump title. 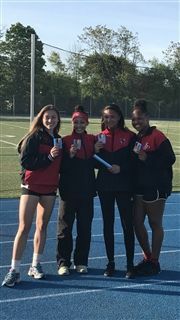 Vaughn and March teamed up with Desiree Davis '19 and Kayla Glemaud '17 to win the 4x100 relay and set a new school and meet record. Davis, Glemaud and Vaughn were joined by Emma Ouellette '18 in the 4x400 relay and they won the event in meet record time. Other highlights from the spring included both the boys' and girls' tennis teams advancing to the New England championship match. The KO boys’ tennis team captured the team title at the 45th annual Kingswood Oxford Invitational Tennis Tournament for the third straight season. The golf team retained the Keyes Plate. The mission of the Kingswood Oxford Athletic Hall of Fame is to honor those who have brought distinction to themselves and Kingswood Oxford through their achievement, commitment, sportsmanship, and leadership in athletics. A dozen individuals and the 1973 Football Team were inducted during the third annual Athletic Hall of Fame Induction on Saturday, June 8, 2013, during Reunion Weekend. At a Centennial Celebration dinner on Friday, Oct. 23, 2009, 10 new members were inducted. Click here for full program including bios. Kingswood Oxford School inducted 25 into the Inaugural Athletic Hall of Fame Class of on Friday, April 27, 2007. We are proud of our rich tradition in athletics and the many alumni who have gone on to play at the college and professional levels. Please contact Director of Communications & Marketing Jackie Pisani with corrections to this list. Rob Cipolla '01 - Wheaton College, Mass.